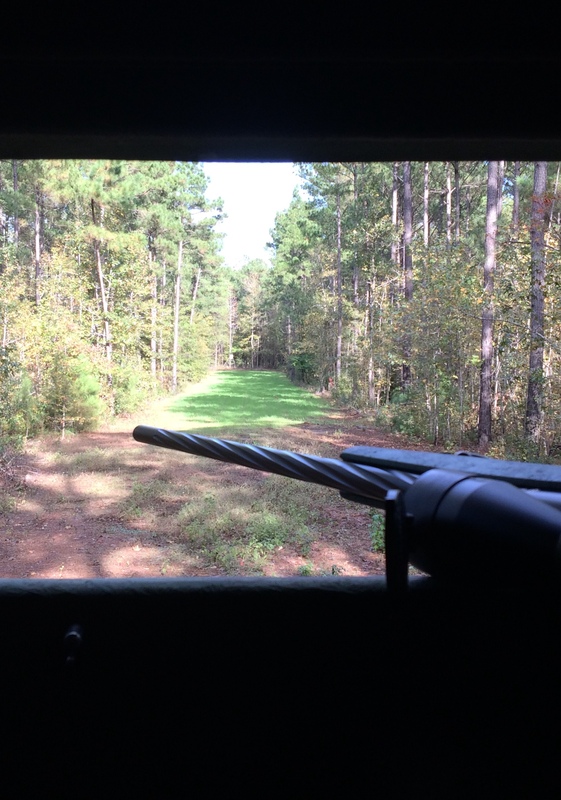 Discussion in 'Deer Hunting' started by cutman, Aug 15, 2018. It has been storming all day with it finally breaking. While getting ready the sun even popped out. Unfortunately on the way to the stand a slight drizzle has set in and it is muggy. 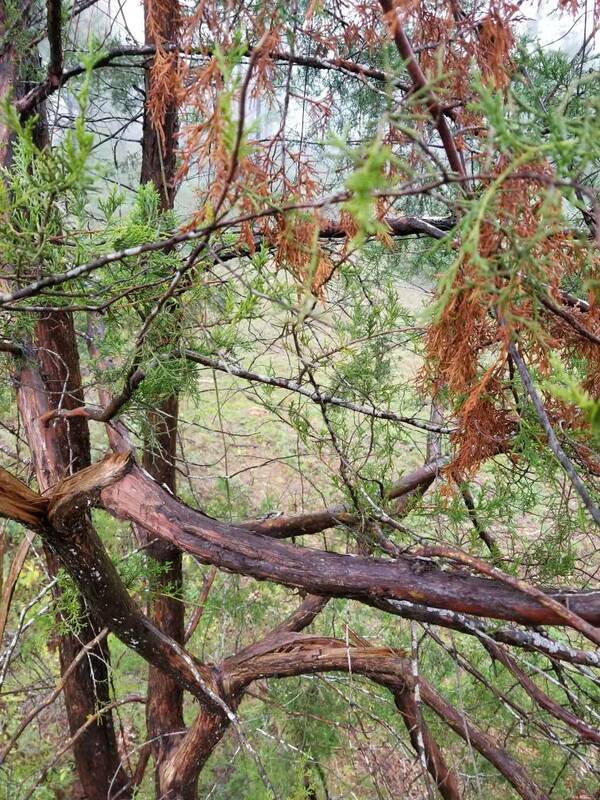 Nothing says deer hunting like sweating and swatting bugs in November here in the deep South. Looking to get an arrow bloody on my new bow setup. I saw a small buck harass a doe for a few minutes this evening and then work a couple scrapes alongside my neighbor's pasture. I will be “live” the next few days...cell service is spotty so may not be up to the minute. 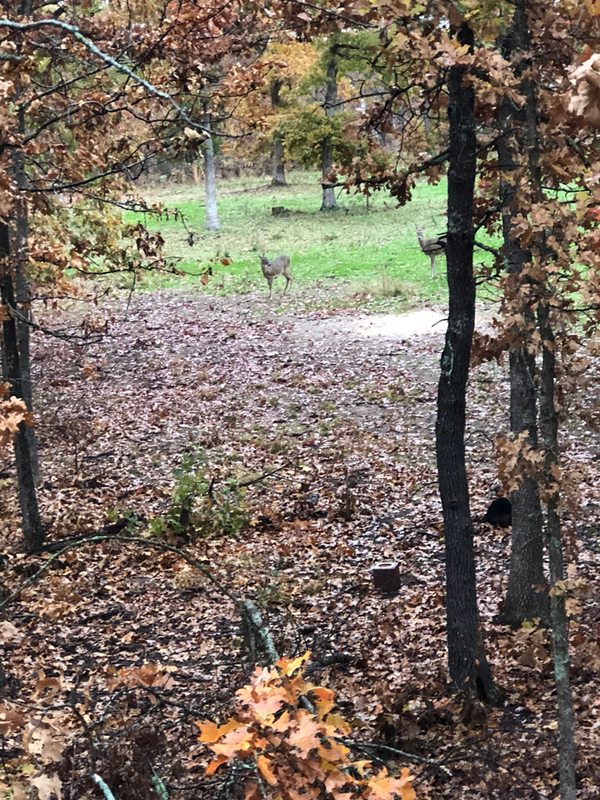 Rut is heating up in NE Ok and the weather is right the next couple days and then it gets really cold. Hope to be able to take a nice bow deer. Back at it again today. Saw a lone doe at first light in the cow pasture. Also, there's a raccoon all settled in for the day in the crook of a tree about 20 yards away. Kind of funny to watch him up there turning around, trying to get comfortable. Here is my view for the morning. The morning hunt was great! I had am opportunity at a very nice buck with bow but I opted not to shoot. I feel the deer was 3.5 yr old and if the neighbors will oblige I think he will really be something next year. I watched him run 2 trees and work 3 scrapes before he followed a doe into the deep woods. I saw a total of 6 does and 2 bucks. I went and got the tractor and used the loader to scoop him up and deposited him in one of our many hollows. 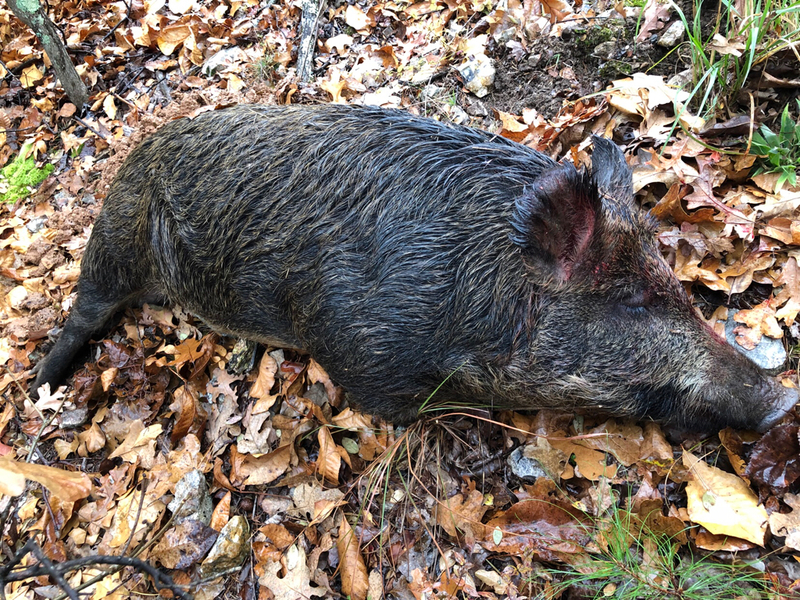 By the bloating and slight odor I figured he was shot somewhere yesterday morning. At this very moment this spike and doe are in front of me in the rain. pinetag, Cap'n, Gravel Road and 1 other person like this. Not much to show for the afternoon hunt. I saw a single fawn at 4:30. Mama must have been off somewhere being propositioned by a suitor but this setup looks promising and I would expect it to produce at some point in the future. I ended up seeing 12 deer but the only horns were on that spike...still a great evening! That is a big old buck. It would be interesting to know just how old he is. 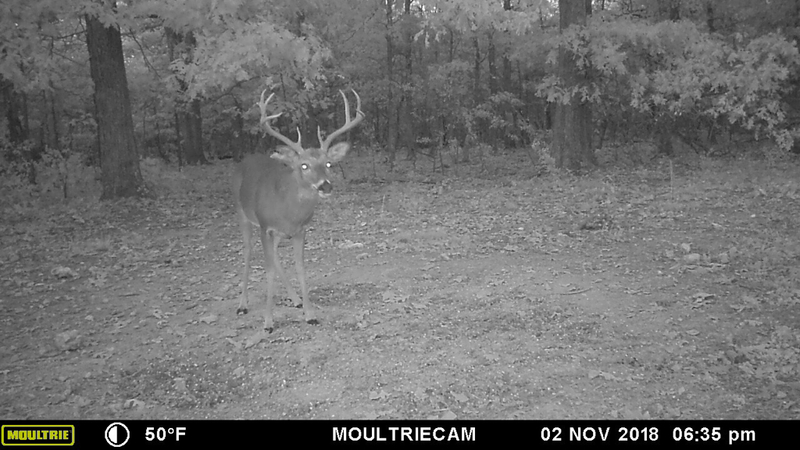 Okie you are showing some good restraint not taking the 3 1/2 yr old, but when you look at the body's of the two you can see he is going to be a real nice buck next year. This is how you do it if you want a really big buck. Okie your a better man than me, I'm pretty sure I'd of taken that one. 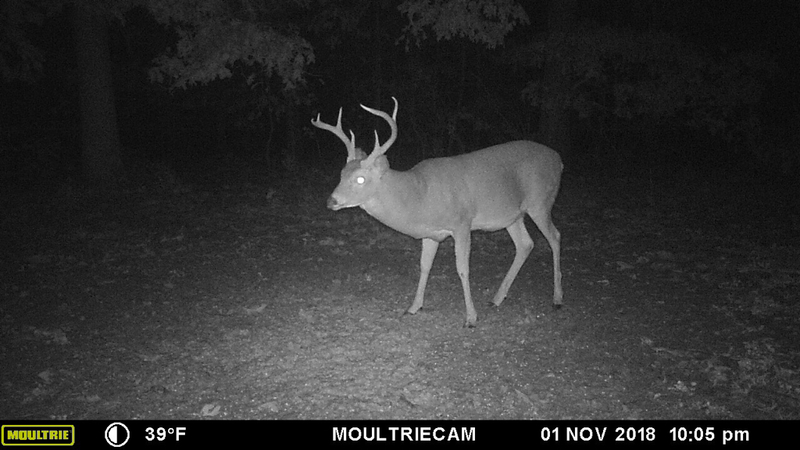 That older Buck is a heavy one for sure though. Mid 50s, N wind at 12/15 mph. Poured 3.5 in. out of my rain gauge from last night. The sun has been out since noon. We’ll see what happens this afternoon. A young buck walked through just now. I had a doe and a fawn in the far end of my lane for just a couple minutes. A nice young buck moved them off. Couldn’t tell if he was 2.5 or 3.5. Leaning towards 2.5 and if so he’s gonna be a good one ! What kind of rifle is that? Native, that's my one and only custom rifle. A .280 Rem built by Alamo Precision Rifles. I described it earlier in this thread I think. It's a shooter ! 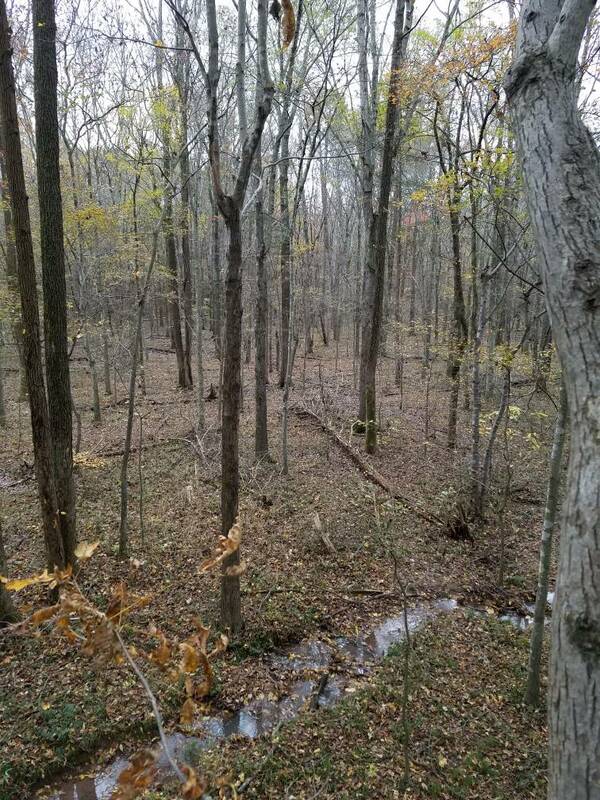 The wind is right this morning so I'm back in the same stand I hunted Wednesday where I saw 3 different bucks come in after a hot doe. One of them was nice! Hoping for some luck today! We finally have a clear cold morning. 37F here in the South and yes we call it cold. Steady north wind. Got my oldest son back in the stand looking for a buck. After his first deer that is all he can talk about. 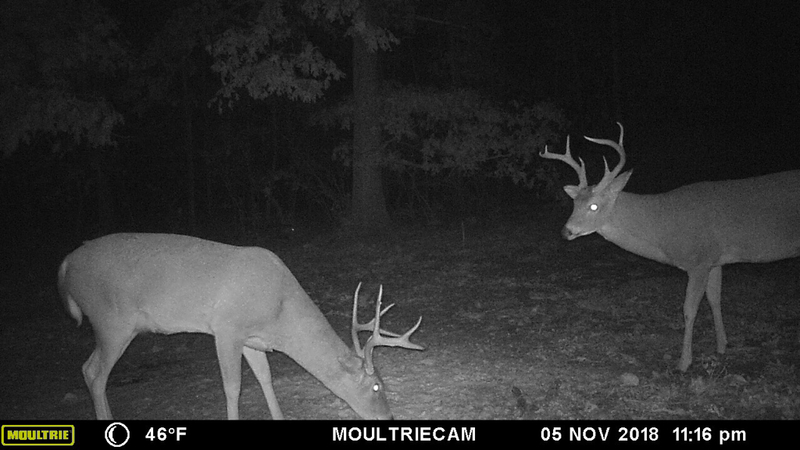 Hopefully one of these bucks will show up. Same here PSJ. North wind, 35*, and the sun is poking through the pines. 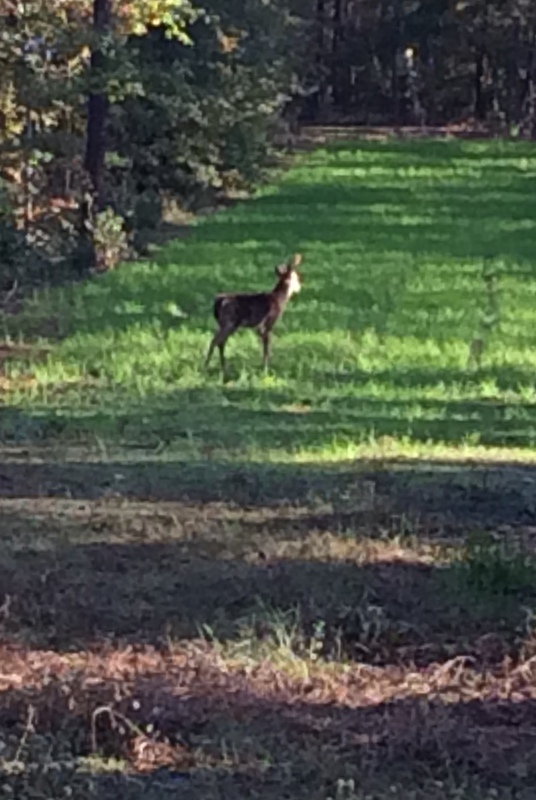 Had a doe in my wheat at daylight. 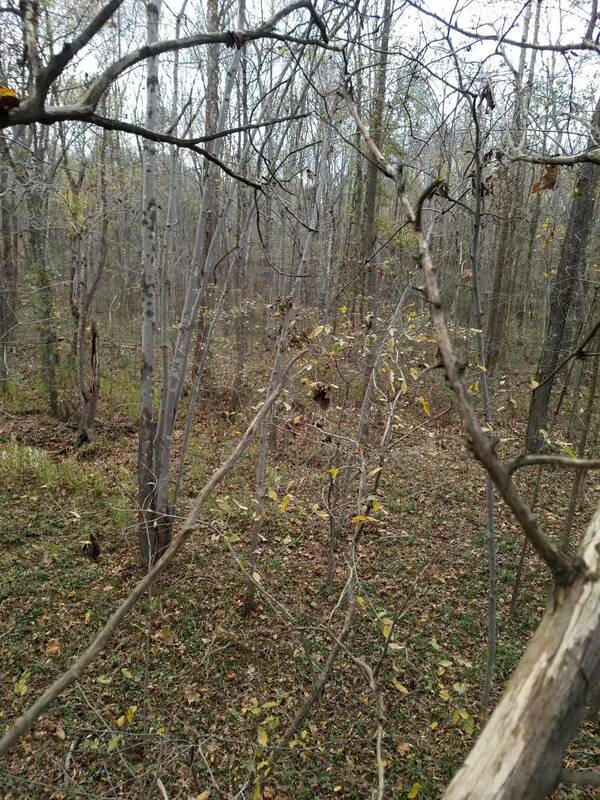 Mid-morning usually presents the most buck sightings at this stand. I’m (somewhat) patiently waiting. So far, a doe and a fawn, another doe and a yearling, and this forky who is helping himself to the wheat.